La Spiga is a nice hotel that offers its hospitality just a few steps from Florence!!! 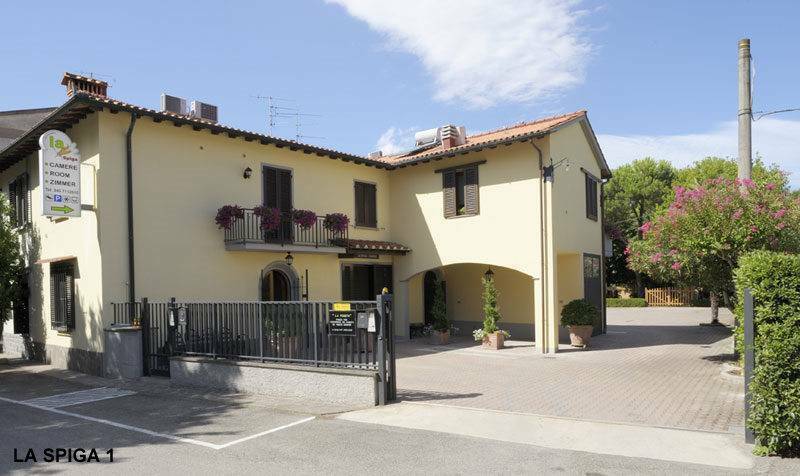 Its strategic location allows easy access to the historic center of Florence, (both by car and with excellent public transport like bus and train), as well as the Vespucci Airport and the A1 and A11 highways are very close. Customers will enjoy a peaceful atmosphere since this is a family-run business which ensures privacy, hospitality and cleanliness. 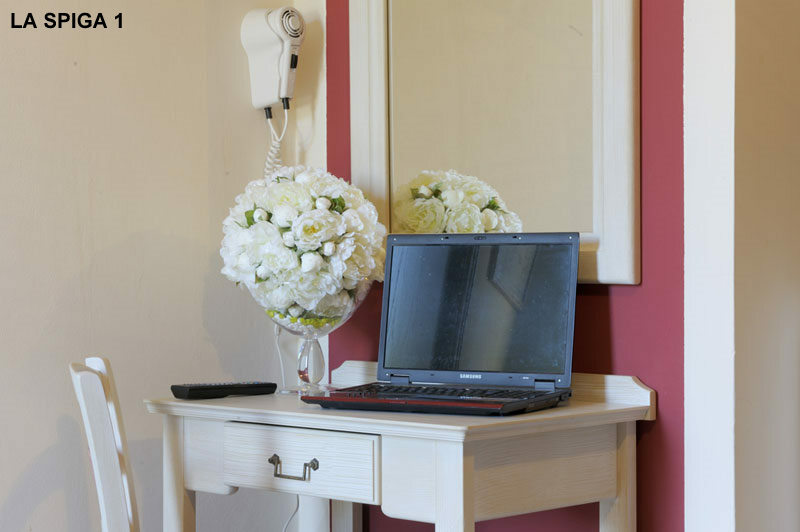 In our facilities there is no curfew because at the time of arrival, guests can take possession of the keys to organize their stay independently and in complete confidentiality. La Spiga offers rooms of different typologies (single, double, triple or quadruple) divided into two structures, La Spiga 1 and La Spiga 2, close together, are located on the outskirts of Florence which can be reached in just 15 minutes by car or city bus (line 35 - Baccellina 1 stop). The bus stop is close to our facilities. The breakfast is not served. Rates do not include the tourism tax of 1 Euro per person per night, for a maximum of three consecutive nights. The day of your check-in, if you call us or send a text message ten minutes prior to your arrival at our facility, we would be able to receive you without making you wait. With a short drive you will reach the historic center of Florence. You can admire the Church of Santa Maria Novella, that of Santa Maria del Fiore with Brunelleschi's dome, Giotto's Bell Tower, Palazzo Vecchio, the Uffizi Gallery with Botticelli's Venus, the Ponte Vecchio, Palazzo Pitti, the Boboli Garden and many other important museums. The view of Florence from piazzale michelangelo and fiesole is also beautiful. La Spiga 1 is located in a charming cottage, recently renovated, on the outskirts of the city of has 4 bedrooms including two bedrooms on the groundfloor, a double and a single room on the first. The decor, recently renovated, has light wood furnishings and colorful decoration. 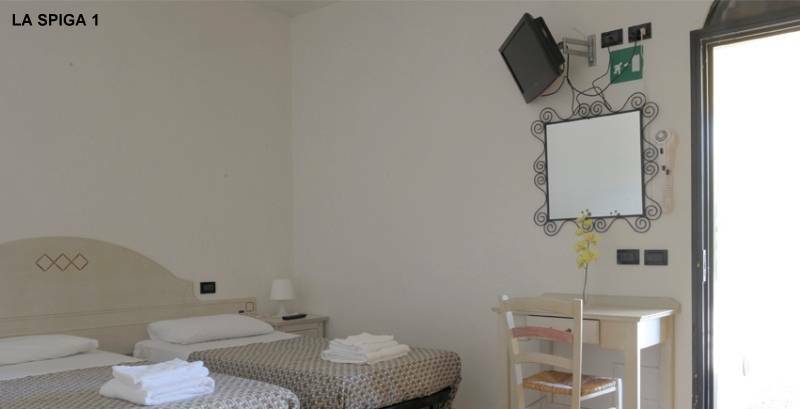 All rooms have private bath, TV, hair dryer, heating and air conditioning, frigo. La Spiga 2 hosts its guests in a small and comfortable cottage with three bedrooms, one double room with private bathroom and a small private courtyard on the ground floor, a double and a quadruple (two connected double rooms) room with shared bathroom on the first floor. The room on the ground floor has a new decor with light wood furnishings and colorful decorations and is equipped with private bath, TV, hair dryer, heating and air conditioning, frigo. Rooms on the first floor are furnished in a simple and functional way. The bathroom is shared and is located on the same floor. They are equipped with TV, hairdryer, heating and air conditioning, frigo. Breakfast is not provided but nearby there are two cafés/pastry shops. In case of notice to leave of the reservation beyond the terms previewed or of lacked arrival, the amount will be withheld, In case of lacked arrival the reservation the room will come maintained exclusively for the first night. Coming from the A1: take Firenze nord exit and take the A11 Firenze-Mare in the direction of Florence, than take the exit Firenze Nord Sesto Fiorentino Osmannoro and continue to the village following the indications of San Donnino. Coming from the A11: in the direction of Florence take the exit Firenze Nord Sesto Fiorentino Osmannoro and continue to the village following the indications of San Donnino. By car: exiting the airport go straight on Viale Zoroastro da Peretola, then keep right and take the Viaduct of the Ponte all'Indiano. Take the first exit onto Via Pistoiese, continuing on the variant to the regional road Via Pistoiese. Take the ATAF bus number 35 from Via Alamanni, and get off at Baccellina 1.